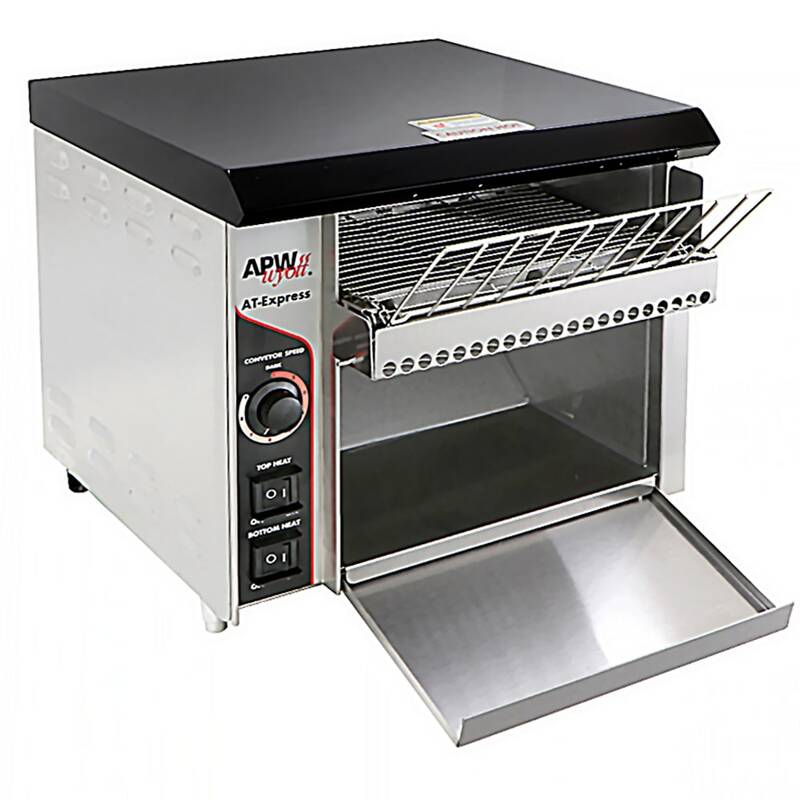 The APW Wyott ATEXPRESS conveyor toaster has speed controls that enable users to set the belt speed and find the ideal toast color and texture. For one-sided toasting, the top or bottom element can be turned off, and the included super feeder accepts bread, bagels, and muffins as tall as 1.5 inches. An extended warming tray is included in the bottom of the unit, holding the toast at a suitable serving temperature until it is removed for high-volume toasting. This APW Wyott ATEXPRESS toaster has a durable, stainless steel construction for simplified cleaning. 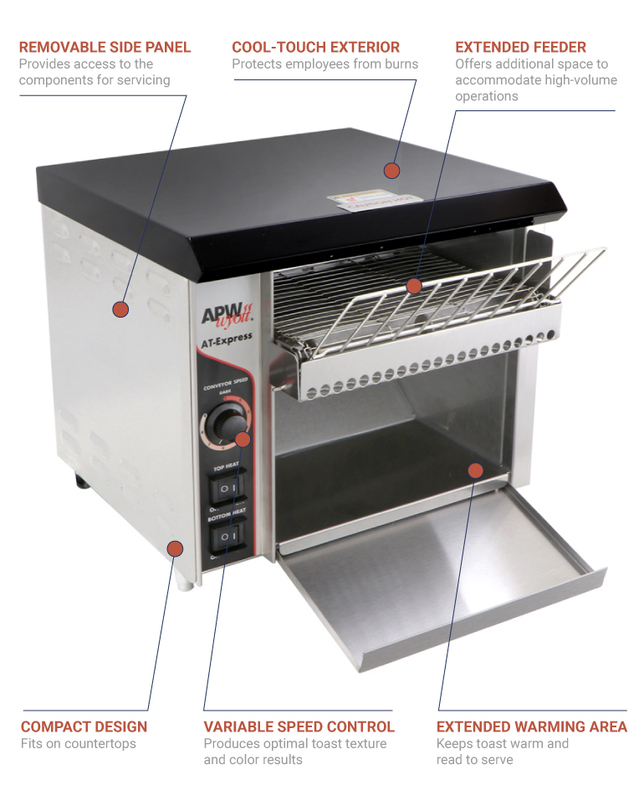 Its crumb tray is fully removable for emptying and cleaning, and the side panel can be removed to access internal components during servicing. Its internal bearings are resistant to high temperatures and do not require lubrication, which reduces the required maintenance. Air continues to circulate through the unit even after it is powered down, preventing residual heat from overheating the unit. Improving energy efficiency and keeping the exterior cool to the touch for user safety, the unit is fully insulated. Can cook 300 slices of toast in 1 hr. Interested in toasters? We take a closer look at them in the explainer on toasters. "I would never order this product, all it does is burn the bread no matter the speed, the longer it is running the hotter it gets, then it burns t..."
"I would never order this product, all it does is burn the bread no matter the speed, the longer it is running the hotter it gets, then it burns the bread so bad it will start a fire. bad design mine is going back asap."